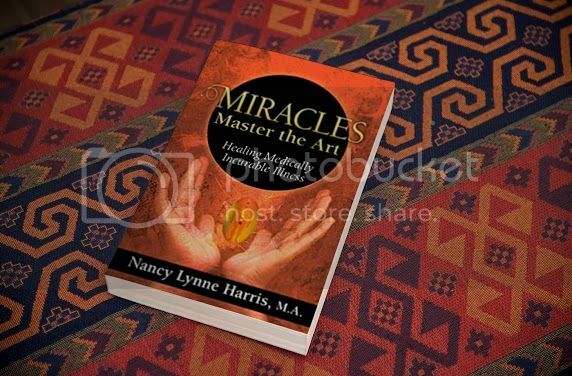 Miracles Master the Art gives readers 12 Steps to Heal Yourself Without Medicine. With this information, you will never have to settle for anything you'd rather change. By controlling your thoughts and attitudes, and by adding certain words to your thinking, you can control your own health, wealth, and peace of mind. It was 1980. When the call came in, I was presenting a jazz workshop for piano teachers in the farmlands of central Washington. My husband, Ray, was called to the phone. I continued presenting the workshop, wondering what was so important that someone was calling him while we were miles away from our home in Auburn, Washington. When the workshop ended, we said our goodbyes and got into our car for the long drive home. Ray started the car, backed out a few feet, stopped, and looked at me with tears in his eyes. He said, âOh, honey! That was Jeff on the phone.â Jeff was our oldest son, just twenty years old. Ray continued, âHe said a policeman came to our home early this morning to say that Mike was killed in a car accident.â Mike, our second child, had turned eighteen just eight days earlier. As we drove through the Washington countryside, now eager to get home, I tuned in to the news on the car radio, and we heard them announce the death of our son, Michael Alan Jones. Michael was born in Frankfurt, Germany, while Ray was serving in the U.S. Army. It was an easy birth for me, mainly because I was in my mid-twenties. While I was still in the hospital, an Army doctor who specialized in ophthalmology came by to say he believed our baby might have something wrong with his eyes, and he wanted to see us in his office the following week. We complied, and the doctor confirmed that Michael was born with congenital glaucoma. The doctor explained that fluid was flowing into his eyes faster than it could flow out, which could cause excessive pressure on his optic nerve and lead to blindness. He also said that when the baby was old enough he would need to have surgery to save his sight. When Michael reached the appointed age of eighteen months, we were living in military quarters at the Presidio of San Francisco, where another highly skilled ophthalmologist performed surgery twice on his eyes over a period of months. For the next eight years Michael was given daily eye drops and was taken to the doctor at regular intervals to have his eye pressure checked and prescriptions written for medicated eye drops. Being the open-minded person that I am, I always felt there was a way for Michael to be healed, if only I could find it, in spite of the doctors who said he would always have glaucoma because they did not know how to heal it. When Rayâs military service ended, we moved from the Bay Area to Santa Barbara, California, and âjust happenedâ to move right across the street from a lady named Evelyn. I saw her out on her lawn one day, so I went over to meet my new neighbor. As we talked, I told her about Michaelâs glaucoma, and she told me she taught a class in healing, and that it was possible that Michael could be healed if we studied the course. I was ready to study anything if there was even a remote chance of healing, so we agreed. 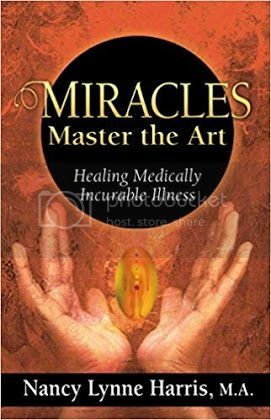 The course she taught was written by a man named William Walter, who, through intensive reading and study, had healed himself of tuberculosis, and then developed this course to train other people in how to heal themselves of medically incurable illnesses. The course taught us that: OUR THINKING CAUSES EVERYTHING THAT WE EXPERIENCE. As time went on, using this approach, we began to have success in healing many things, like the common cold and the annual flu. After we had studied this course for two years, Ray and I went to Los Angeles to take the teachersâ training. We both became certified teachers of Eschatology, the Science of Last Things. Then Ray accepted a position as a purchasing agent in San Jose, California, so once again we moved. When Michael was nine years old, he still had glaucoma, was still being given daily prescription eye drops, and was still seeing an accredited ophthalmologist, now in the Bay Area, but I felt the time had come for us to take our stand for healing. I had just taken him in for his three-month pressure check, and with medication his eye pressure was under control. The next day I consciously chose to stop putting the medicated prescription drops in his eyes because I felt I had my thoughts in the right place to accomplish his healing. Three months later I took Michael to the ophthalmologist for his checkup. The nurse took us into an examination room and asked me what time he had been given his drops that morning. I said, âI have not given him any drops for three months.â She gave me a look of disbelief and noted that on his chart. When the doctor came into the room, he was angry. He said, âWhy have you stopped the drops?â I simply said, âWe did not do it ignorantly.â The doctor was obviously shaken. He tried to calm down and proceeded to check Michaelâs eye pressure. Then he became quiet, and after a pause he said, âHis pressure checks normal.â I was elated, but I said nothing. The doctor left the room briefly. When he returned, he said his colleague, also an ophthalmologist, was asking my permission to follow Michaelâs progress along with him from now on. I simply said âNo.â I knew that looking for glaucoma in my childâs eyes could reproduce it. That was the last time Michael went to the ophthalmologist. His glaucoma had vanished. What we learned in Eschatology is that our sonâs glaucoma was caused by my feeling of being pressured (controlled, domineered) by my mother-in-law, Coleen. She could not let go of her son Ray, my husband, even though we had been married for many years and had three children of our own. She wanted her own way and expected our obedience. I disliked her very much because of her constant intrusion and demands. Once I learned in Eschatology that she was the source of the pressure I was feeling that was causing Michaelâs glaucoma, I knew I had to stand against this woman and learn how to say NO to her, rather than allowing her to push me around any longer. I had to change the way I dealt with her. Always before it had been impossible for me to do this, because she was âMotherâ after all, and I was trying to be respectful, but it was way out of control. If we did not do what she wanted, she would remind us that we were supposed to honor our parents. Soon my opportunity came to stand up to her. She called one afternoon and asked us to come for dinner that evening. I said, âNo, thank you. We will not be able to come.â That was a first for me, and it felt so good! She continued to ask and argue, and I continued to say âNO.â So she hung up. About five minutes later she called back and asked me again the same question: âWill you come for dinner?â Again I said, âNo, thank you.â She continued to urge me, and said Father (her husband) might die soon, and this would be the last time we could be together. (She had used that excuse before.) I stuck to my guns and did not budge. She hung up. Five minutes later she called back for the third time in fifteen minutes. It was as if she had totally forgotten that I had said no already, so we went through it all over again. When we hung up from that third call, I felt triumphant and no longer felt pushed around. I had pushed back, and by changing my attitude in how I handled her demands, I had changed my on-going feelings of being pushed around by her. My feelings had reflected on my childâs eyes as glaucoma, even while he was in my womb. I healed him of glaucoma by taking an action that changed the way I felt. I had allowed that woman to push me around for years, and now it was over. I had reversed my feelings of being pressured. Now I felt in control. 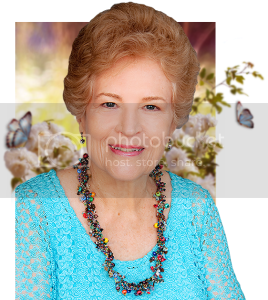 Nancy Lynne Harris, M.A., is a graduate of The Four Winds Society, founded by Dr. Alberto Villoldo, where she was trained in shamanism and energy healing. She graduated as a Spiritual Teacher from the Eschatology Foundation in Los Angeles and healed her son Michael of glaucoma as a result. She completed advanced training in Theta Healing and was recognized by Worldwide Whoâs Who for excellence in energy medicine.